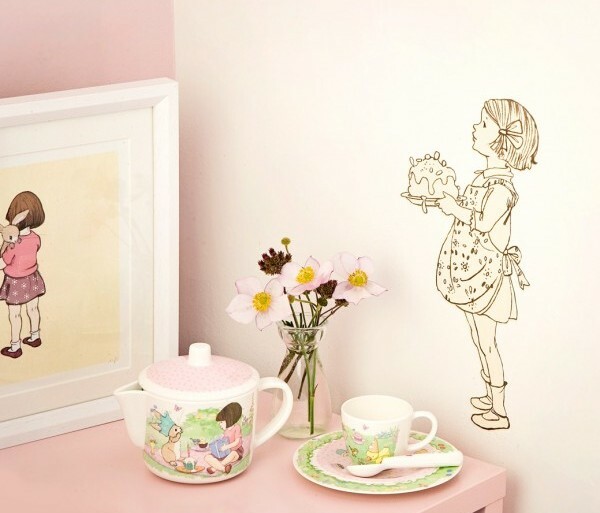 I love the sweet, nostalgic style of Belle & Boo and their new range of wall decals takes these delightful characters to new heights. Two years ago we showed you the first collection of Belle & Boo wall decals, with hot-air balloons, doughnuts and dinosaurs. Their latest collection includes paper planes, a little girl offering a freshly baked cake and the most gorgeous height chart, cleverly disguised as Boo with a balloon. The Balloon Height Chart includes twenty-one sweet bow stickers to mark your little one’s growth so you don’t have to mark the sticker (or your wall)! 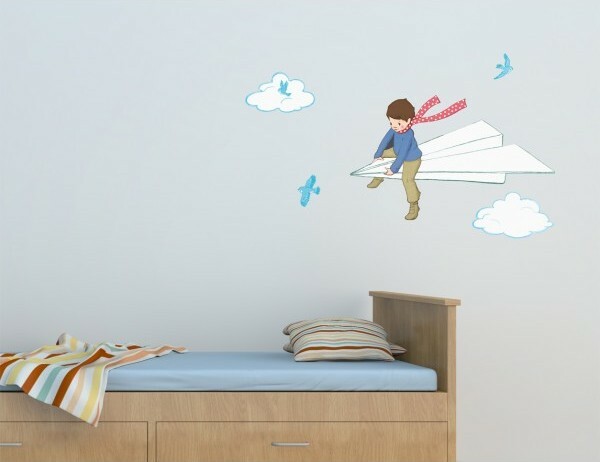 The decals are repositionable and removable, allowing you to change them around over and over again. 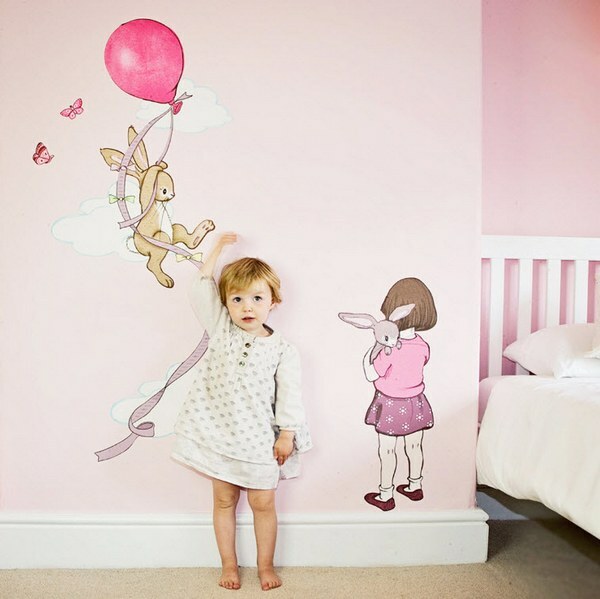 Belle & Boo wall decals are available from Babatude Boutique, which ships internationally. Prices range from £14 to £60. See all of our previous Belle & Boo posts here.